Read about these exciting characters in Shattered! 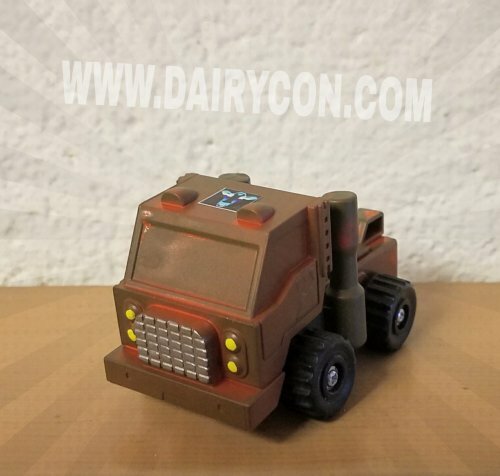 The Dairycon Moo-niverse! Quote: "Things get harder, and it may seem like you can’t take it, but you can! Just open yourself up!" A former deck hand of God Neptune’s pirate crew along with her friend WIPES. The cheerleader of the team. Keeps everybody up. Willing to use her robosexuality on other species to get ahead in life. Often involves WIPES in giggly splash fights. Idolizes Mega empress, and often adapts her form to match. Often listens to kawaii metal on an old cassette she acquired. In robot mode, carries two mini fusion rail cannons. Has adaptive camouflage that quickly changes her color to match the terrain. Carries a sword, mostly for decoration. Forms the Right Treasure Chest of Megatronia. Quote: "Go Hard or Go Home!" Long ago decided that a towel is the most useful thing anyone can carry. 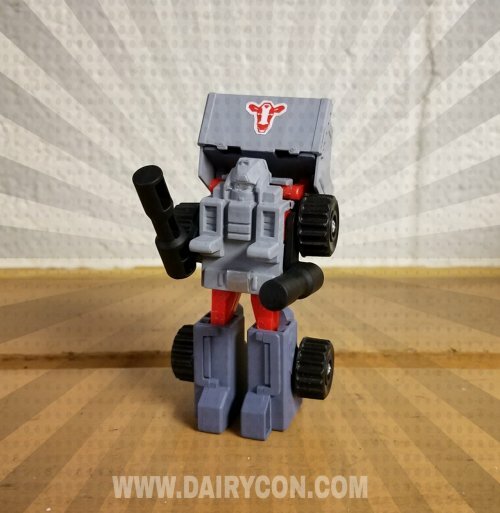 Though it hasn’t stopped her from ending up in the far corner of the Dairycon Universe. Hangs out at Blackrocks’ Wash and Roll with AGENT ORANGE, putting her signature accessory to good use. Often annoyed at FLUFFER; people mistake the two of them and then hit on her, which results in WIPES cutting off their combiner peg. In robot mode, carries two mini fusion rail guns. Like her friend FLUFFER, has adaptive camouflage that quickly changes her color to match the terrain. Carries a sword from her pirate days and uses it often. Forms the Left Treasure Chest of Megatronia. Does not have a light touch; will often scrape up customer’s finishes, much to everyone’s chagrin. Quote: "You're a Wizard, Harry!" 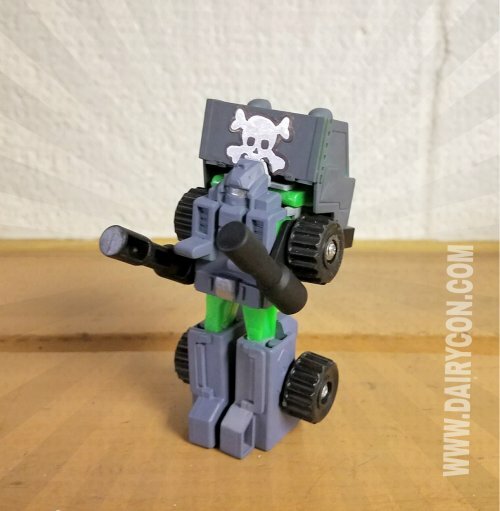 HufflePuff is screwed up even by Junkion standards. Most Junkions trend toward good or at least neutral deeds, but HufflePuff seems actively evil. As a main supplier to PIRATE PETE, HufflePuff borrows or steals from still-active installations, reducing them to scrap she can sell to others. Like her fellow Junkions, HufflePuff mostly speaks in clips from old human television broadcasts; this pattern of speech lacks context for other, non-Cybertronian races. Her regard for humans does not extend to their safety, however, as many a human has been stranded in space when their ship has been scuttled. Like other Junkions, HufflePuff is seemingly immortal; when a part falls off, she can simply graft another one on and keep motoring. Vehicle mode has spacious hauling capacity and rich leather interior. Outside is barely distinguisable from her home planet, creating effective camoflage. Sensor package allows her to find the best bits to salvage and sell. 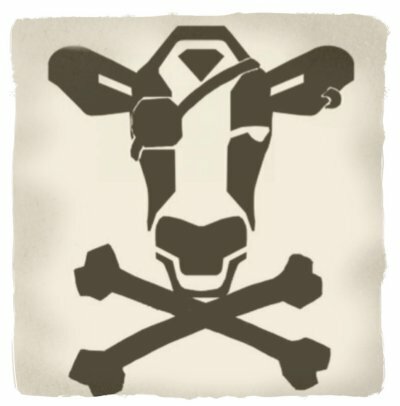 Fellow Junkions actively avoid her; they do not understand what hold PIRATE PETE has over her; "She's way over her 40 million mile warranty - insane in the membrane." Tearing into EDC installations often gets her into more trouble than she can handle. Notes 3: You've all been brainwashed. HufflePuff is the *real* evil. Don't believe the lies!